Rockstar Games is releasing the High Life Update for GTA Online today. The DLC pack will be available for the PS3 and Xbox 360 versions of the game for free. The High Life Update, like the Business Update from March, introduces new luxury items to the game. 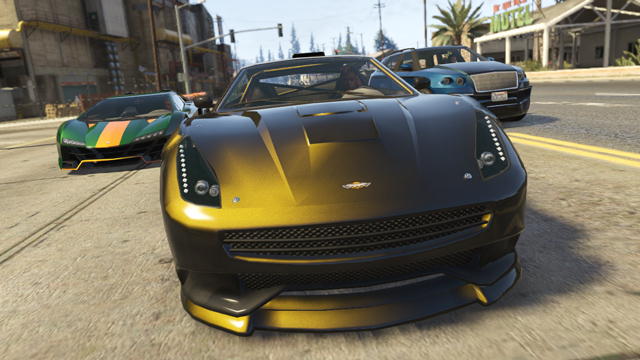 Players can add the Enus Huntley S SUV, Pegassi Zentorno super car, Dewbauchee Massacro sports car, and Dinka Thrust motorcycle to their garage. 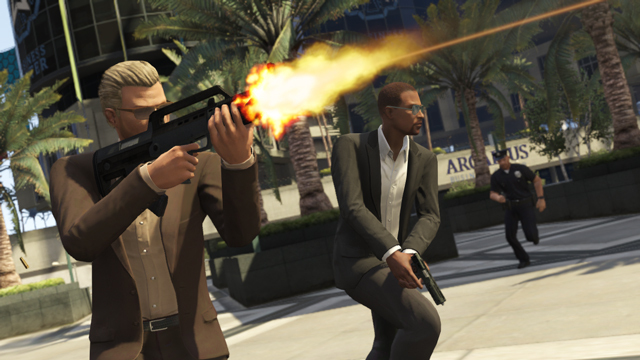 A powerful Bullpup assault rifle is also included in the update. The Eclipse Towers, Richards Majestic and other locations will have new apartments on sale with new interiors. Five apartments in total are included with the High Life Update. For the first time, players will be able to own two apartments at the same time. Each apartment has a separate garage. 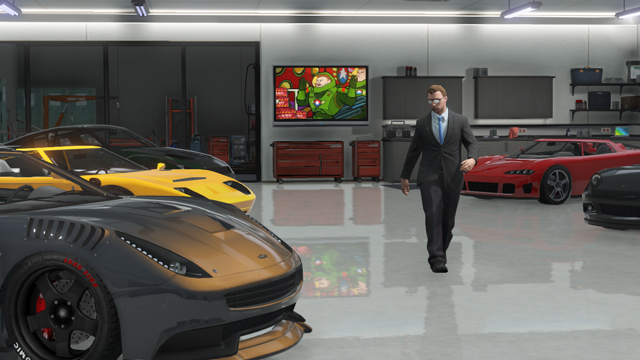 This gives players the opportunity to rearrange their car collections for the first time. 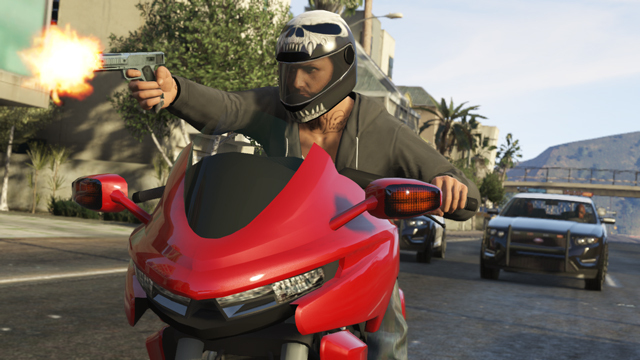 The new vehicles can be purchased in GTA Online through the Legendary Motorsport website, while the Bullpup Rifle will be found at Ammu-Nation Store locations. In Story Mode, you can access the vehicles through garage properties. The rifle will be added to the inventory of your characters along with some ammunition. Rounding out the Update are several customization options. Players can spruce up their characters with several high-end clothing items, some of which you can see in the screenshots below. A recent Rockstar Newswire post mentioned new vehicle horns and player celebrations as well. Title Update 1.13, the patch accompanying the update, will introduce a Mental State player statistic. This stat lets you know whether other players in your session have violent tendencies so you can plan accordingly. 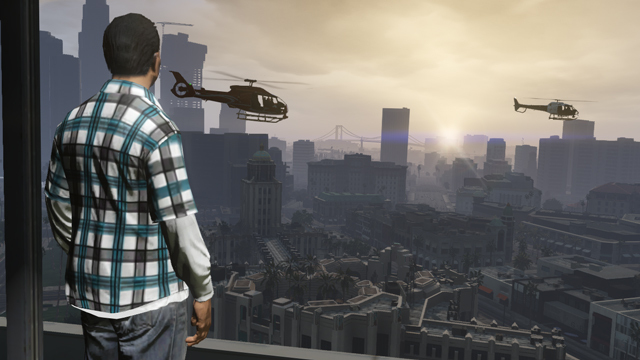 The title update will also make a big change to GTA Online races. Players will be able to select a "Non Contact" mode for these events. During "Non Contact" races, there's no collision between player vehicles. This means that they'll have to focus on driving rather than running each other off the road. The High Life Update also adds 15 new Jobs, including 5 Contact Missions. Sadly, cooperative heists aren't part of the DLC. Rockstar said that the heists should be out by the end of spring, though. Perhaps they'll be released in June. Rockstar plans to release additional DLC throughout the year. Their long-term plans include single-player DLC as well as more holiday-themed updates similar to the Valentine's Day Massacre DLC.